Slow cooking requires more than just dumping ingredients into a pot and turning it on; with a little extra attention, a crock pot can produce fabulous meals. Here are some tips for making great slow cooker meals. Browning meat helps to break down natural sugars and release fat-soluble food components, which enhances flavour. It also reduces the risk of food poisoning from undercooked meats. Sautéing vegetables with fresh herbs and whole spices before putting them in the slow cooker can also improve the flavour. Liquid doesn’t escape in the slow cooker, which means that recipes intended for the stovetop or oven may become watery in slow cooker. Liquid usually needs to be reduced by 50%, and thickeners like cornstarch or flour can also be used. Tougher cuts of meat such as roasts or brisket should be cooked on low for a long time to break down more of the connective tissue. This will make them far more tender. 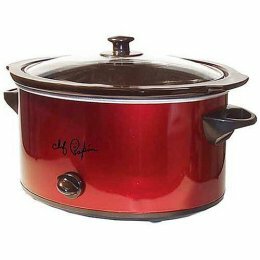 While red meats often do best with a longer cooking time, poultry cooks more quickly in a slow cooker. Most poultry recipes require only about 5-6 hours on Low or 2½-3 hours on the High setting. Potatoes, parsnips, turnips, and carrots cook more slowly than meats in a slow cooker. Cutting them into cubes that are 1 inch or smaller and placing them under the meat will ensure that they get cooked thoroughly. Leafy greens, peas, peppers, and other high-moisture vegetables such as zucchini and winter squash should not be added until the final 15-30 minutes of cooking. Otherwise peppers grow bitter and other vegetables can become limp and soggy. Most recipes also require that seafood be added late in the cooking process, though this will vary depending on the type of seafood used. Dairy products are also usually added late in the cooking process, with the exception of canned cream soups and evaporated milk, which can be added at the beginning. Using full-fat dairy products reduces the likelihood of curdling, and mixing dairy products with a bit of cornstarch increases stability. Desserts that contain cream, milk, or certain leavening agents should be cooked on the High setting. Other than adding additional ingredients or checking meats for doneness using a meat thermometer near the end of the cooking time, the slow cooker lid should not be lifted. Each removal adds 20 minutes to the required cooking time. Leave at least 2 inches between the top of the food and the top of the slow cooker so that the food can simmer. Overall, the slow cooker should be between half and two-thirds full. Dried and ground herbs and spices are more likely to lose their flavour due to the long cooking time. However, fresh herbs and whole spices (such as bay leaves, cinnamon sticks, or peppercorns) tend to give very intense flavour, so they’re ideal for slow cooking, though quantities should be reduced, or the flavour may become overwhelming. Near the end of the cooking time, taste the dish and add more fresh herbs and spices if necessary. If using dried seasonings, add them in the last couple of hours of cooking, or if this isn’t possible, add a sprinkle of the seasonings at or near the end of the cooking time to perk up the flavour. Converted long-grain rice is the only type that tends to work well in a slow cooker. Other types of rice such as brown, basmati, or jasmine should be cooked separately and then added near the end of the slow cooker’s cooking time. For best results, dry pasta should be cooked al dente in a separate pot and then added to the slow cooker during the final 15-20 minutes of cooking. Smaller dry pastas such as orzo can be added uncooked in the last 20-30 minutes, and uncooked fresh pasta can be placed in the slow cooker in the last 15-20 minutes. When cooking at high altitudes (3,500 feet above sea level or higher), foods made in the slow cooker will require 50% more cooking time overall, or an extra 30 minutes added for each hour of cooking required by the recipe. For legumes, the cooking time at high altitudes is even longer—twice that of sea level. The Low setting on most slow cookers is approximately 200 degrees Fahrenheit, while the high setting is around 300 degrees. When speeding up or slowing down cooking times by changing the setting, a Low cooking time should be at least twice that of the cooking time on the High setting. For more cooking articles, see the Cooking Tips page. For food and drink articles, see the main Nutrition and Food page. Finlayson, Judith. (2006). 175 Essential Slow Cooker Classics. Toronto, ON: Robert Rose Inc.
Spitler, Sue, & Yoakam, Linda R., RD, MS. (2008). 1,001 Best Slow Cooker Recipes. Chicago, IL: Surrey Books, an imprint of Agate Publishing, Inc.